Soft & Kind There are 10 products. Soft & Kind - Shea Butter with Argan Oil is formulated to nourish & moisturise skin that is prone to dryness, it also helps to revitalise the skin. 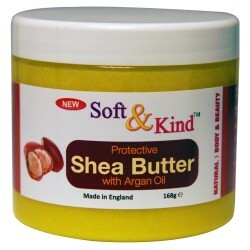 Soft & Kind - Shea Butter with Avocado imparts a soft, smooth texture to the skin. Regenerates, nourishes and repairs dehydrated skin. Soft & Kind - Shea Butter with Baobab Oil is packed with nutrients essential for healthy skin and is formulated to nourish, moisturise and condition your skin. 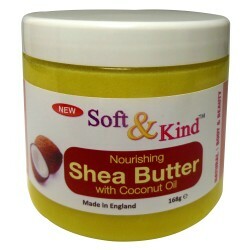 Soft & Kind - Shea Butter with Coconut Oil protects, nourishes and soothes dry cracked skin. 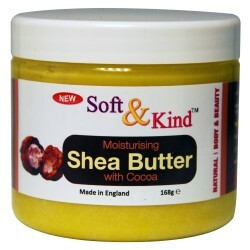 Soft & Kind - Shea Butter with Cocoa nourishes, hydrates and revitalises skin. It is a remedy for dry and sensitive skin. 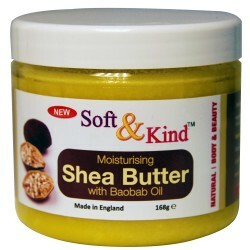 Soft & Kind - Shea Butter with Kalahari Melon Oil intensively nourishes skin and conditions the skin. It is formulated to fight dryness. 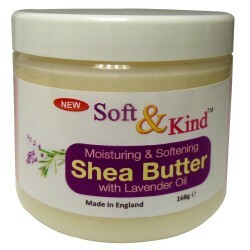 Soft & Kind - Shea Butter with Lavender Oil moisturises, softens, soothes and nourishes skin. It fights dryness and is suitable for sensitive skin. 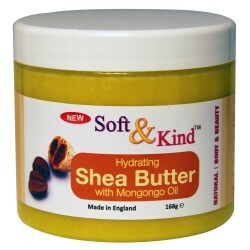 Soft & Kind - Shea Butter with Mongongo Oil effectively conditions the skin. Itrevitalises, nourishes and hydrates the skin. It helps fight dry chapped skin. 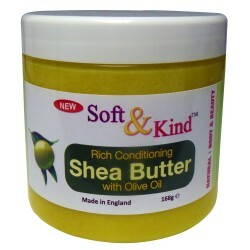 Soft & Kind - Shea Butter with Olive Oil conditions and imparts a soft, smooth texture to the skin. It regenerates and revitalises the skin. 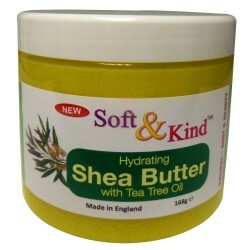 Soft & Kind - Shea Butter with Tea Tree Oil is uniquely formulated to hydrate, condition and nourish the skin. It helps to fight dryness and is suitable for sensitive skin.